ENERGY MINISTER and Treasurer Ben Wyatt broke new ground on Tuesday at the sod turning ceremony of the Northam Solar Farm project. The 10 MW power station is the largest solar project developed by Carnegie Clean Energy and the first utility renewable energy project to be developed on a “merchant” basis in WA, where power is not contracted under a long-term offtake agreement. 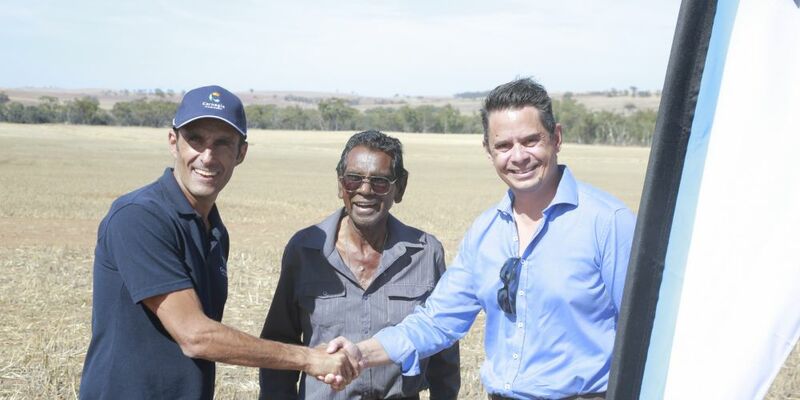 It is also the first renewable investment by Indigenous Business Australia (IBA) and Bookitja. Carnegie managing director Michael Ottaviano said the renewable investment partnership was a ground-breaking enterprise. Carnegie is the asset manager and retains a 50 per cent interest in the solar farm. The project is due for completion later this year when it will begin selling power into the WA grid. Mr Wyatt said the solar farm demonstrated the potential in WA to take advantage of technological advances in the energy sector. “We can create regional opportunities built around cleaner, cheaper renewable power,” he said.